Both, mobile application development and responsive website design are different. They are new trends in the web development field. The main question which arises here is that: Whether the cl should go for a responsive website design or a native mobile application development? Because both of these things have their own pros and cons. The simple answer of this question is to check the requirements of clients whether they want to go for a responsive website design or a mobile application development or both. This is also an important decision which can affect the conversions, revenue and total sales of the website or the native application. 1. Speed : The native app will run much faster as compared to the responsive website design as the user will have to wait for the website to open in different devices. Whereas the user can easily check the updates in the native application if there are any through the push notifications. The user will have to open the website every time to check the updates in it. Responsive website does not facilitate push notification service. 2. Development and maintenance costs : The total development and maintenance costs of the native app will be higher as compared to the responsive website design because in responsive website design the developer has to develop a single website and maintain the same. The development of native application is time consuming and it also needs higher maintenance cost depending upon the platform for which it has been designed either for Android or iOS. 3. 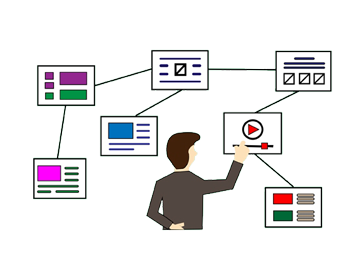 User experience : Where user experience is concerned, native applications are rated higher over the responsive mobile designs as every website for a mobile device is customized for the users.The user experience is advanced in native web applications as compared to the responsive website design. 4. User engagement : Native mobile apps are very powerful way to engage the customers, but it can be expensive. Responsive websites are cheaper and a great way to start a business. Apps come in handy when there are many users who want to use the services. In case of marketing channel, push notifications are useful to retain customers compared to the responsive website design where the customers have to wait for it to open in respective browsers and then perform some operations in the website. The operations performed on an app are faster as compared to the website. 5. 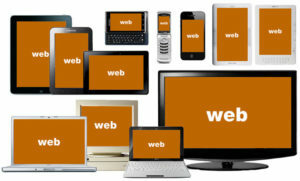 SEO : Responsive designs are browser based so they always get benefits from SEO. Native app will never get benefits of SEO. They need paid marketing to get popularity. Let us list out the advantages and disadvantages of both the responsive website design and native mobile applications. Cost Effective and less time consuming. The native apps work with the in built features so, they are easier to work with and perform faster on any device. These apps get full support from various marketplaces and app stores. The users can easily find and download apps of their choice from these stores. The native mobile applications load much faster compared to the responsive website design. The users of the native app can access all the features of the platform on which it is developed like Camera access, Contact no access , push notification etc. The look and feel and the User interface of the native mobile app is quite familiar. As there is always a flip side of anything, this topic also has a flip side. The disadvantages of both the responsive website design and native mobile applications. The website pages load slower; full-size images are downloaded, then resized to fit the device. The browsers are obliged to download useless a HTML/CSS codes. Similarly, the images are often stretched and not simply resized causing a negative impact on the loading time. The users need to upgrade these apps with the upgrade of OS frequently. It takes a lot more time and resources to develop app in the native platform for a product. The native mobile apps are complex to code. The native apps occupy device space in order to install and use it. The native app developed and updation cost is higher and also the approval process of the app from various playstores is long. Pay to Mobile marketplace like Android , iOS in order to publish the app.